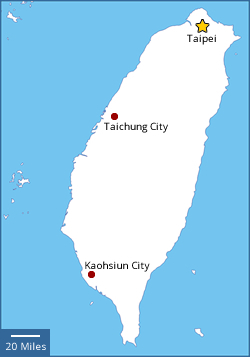 ESL teachers are in demand in Taiwan throughout the calendar year. Teaching positions are available through public and private schools, language schools, universities and colleges, and through private tutoring. Despite greater competition for positions over the past few years, the government's education reforms are continuing to make opportunities available for foreign teachers. Public and private schools in Taiwan are somewhat similar to North America's conventional primary and secondary school system, and run on a two-semester system. The first semester begins in September and lasts until mid- or late-January, followed by a four-week vacation which includes Chinese New Year. The second semester begins in March and goes to the end of June, followed by a two-month summer vacation. Higher qualifications, including an education degree and teacher's license, are needed for those who want to teach in the public school system. If interested in teaching in a conventional school, peak hiring time is in July/August. Language centers tend to be divided into "chain" schools and "cram" (also called "bushiban") schools. Chain schools are prolific in Taiwan and in many ways are a monopoly, having edged out many smaller cram schools. Cram schools tend to offer higher quality education and better working environments than their chain counterparts; however, most foreign teachers find positions in the chain schools and many report a good experience. As with many chain businesses, some branches can be better managed than others. Universities and colleges in Taiwan, similar to those in America, are divided into academic and vocational schools. National (government-run) academic universities draw the best students and teachers, and receive substantial funding. While positions for teachers with Master's degrees are still to be found, the emerging trend to secure a teaching position in these universities is the requirement of a doctorate. Even though the demand for English teachers in academic universities is growing, most foreign teachers find positions in vocational universities (universities of technology). A third option for ESL teachers is the five-year junior college system. This system counts three years of high school, along with a two-year associate degree, to be equal to a lesser valued four-year degree. While these types of colleges are slowly being phased out, opportunities still exist. Private tutoring is something that some ESL teachers do in addition to a formal teaching position; however, as a work visa is required to work legally in Taiwan, and your visa is tied specifically to your school, the ability to tutor privately is often determined at the discretion of the school. You should see a clause in your contract that states whether or not you can work outside of your scheduled hours. Some contracts clearly disallow tutoring on the side as it is considered to be competition, or at the very least a distraction from school duties. Those who do risk private tutoring charge between NT$250 - 1,400 per hour. There are an abundance of ESL resources on the Internet to help ESL teachers teach English as a Second Language. - The ARC (Alien Resident Card) should be kept with you at all times. - As Taiwanese value image and appearance, being well-groomed is important. - If patience is not one of your strong points, it would be a good attribute on which to focus your energies. - The Taiwanese are a gracious, non-confrontational people. Any conflict should be handled in a calm, private manner so as to "save face". - Taiwan is considered to be a very safe country; however, it is still wise to limit the amount of money that you carry on your person. 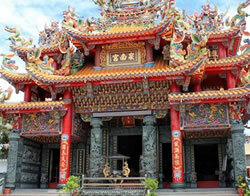 - Adopt an adventurous attitude and explore the cuisine, culture, and sites of Taiwan. - Use only bottled water from reputable companies for consumption. Boil filtered water if unsure. - As the Taiwanese are typically petite compared to most Americans, clothing and shoes in larger sizes are not as readily available as they would be in the United States. - The voltage in Taiwan is 110V, making the purchase of a transformer unnecessary if relocating to Taiwan from America. - Penalties for drug usage are severe; as such, be careful to keep your distance from them or from those using them. - Visa Exempt Entry: Extended to several countries (listed on Bureau of Consular Affairs, Ministry of Foreign Affairs website). Valid for 90 days. Not extendable or convertible to other visas. - Visitor's Visa: Designed for those who intend to stay in Taiwan for less than six months. Can be used as an initial visa (for ESL teachers working in private schools) while waiting for a Resident Visa to be processed. 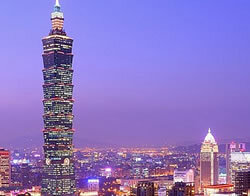 - Resident Visa: Designed for those who intend to stay in Taiwan for longer than six months. This visa is often issued to teachers who have secured a teaching contract and whose schools have processed the work permit prior to their relocation to Taiwan. Some schools have their teachers enter Taiwan on a Visitor Visa and then process the work permit and Resident Visa once there. - Spousal Visa: designed for those married to a Taiwanese citizen and living in Taiwan. This visa can be used to teach English, provided the necessary requirements are met. - Landing Visa: This is awarded to you at the airport if you do not already hold one of the above visas. It is valid for a maximum of 30 days and cannot be converted to a visitor or resident visa. - Visas will only be granted if there is sufficient time remaining on the applicant's passport. (This should be confirmed by a local Taiwanese Economic and Cultural Office). - A visa must be used within three months of receiving it. - One should apply for a visa in person if possible. If you cannot travel to the Taiwanese Economic and Cultural Office, contact the office to see if application by mail is permitted. 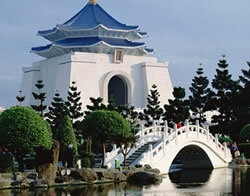 - Once you arrive in Taiwan, you must apply for the ARC within the first 15 days. - The school applies for a work permit on behalf of the applicant. - Once the applicant receives the work permit, he/she applies for a Resident Visa/Entry Permit at the Taiwanese Economic and Cultural Office. - If the work permit is not processed by the school prior to relocation to Taiwan, the applicant applies for a Visitor Visa at local Taiwanese Economic and Cultural Office. Once in Taiwan the school applies for the work permit on behalf of the teacher. - Once a work permit is obtained, application for a Resident Visa/ARC (Alien Resident Card) is made.